This is very interesting Jumble Words Brain Teaser. In this Brain Teaser, a very famous quote by William Arthur Ward is jumbled. It means that each word of the given sentence is jumbled with keeping first and last letter at its correct position. Can you solve these each of the Jumble Word Riddle and then then read this quote? 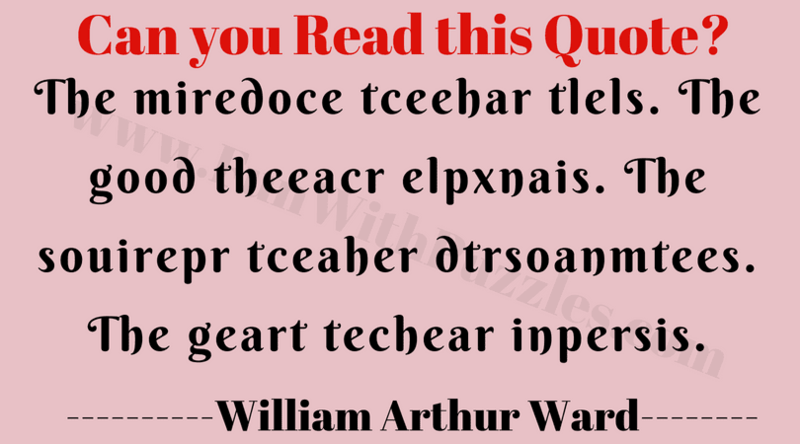 Can you read this Quote? Answer of this "Jumble Words Brain Teaser", can be viewed by clicking on button. Please do give your best try before looking at the answer.